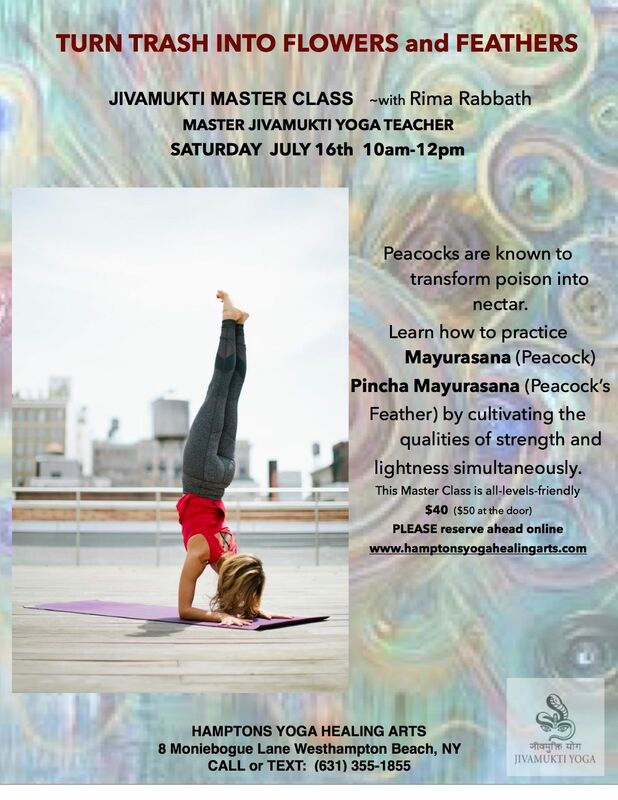 This Jivamukti Master Class focused on turning the garbage in our life into flowers and feathers like Mayurasana and Peacock, who is fierce and loving. Rima gave a layered class filled with challenging poses, partner work, and enlightenment. Thank you Rima!